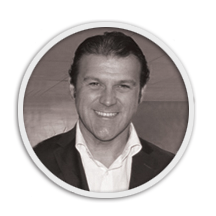 Fabio Bargiacchi is the member of the Management Board of ECES who serves as Executive Director of ECES Management Unit since August 2011 and who brought ECES to be nowdays an important actor in the electoral support sector at European and Global level. Fabio has worked in the field of elections since the beginning of the 90'' serving first as polling station clerk, as voter registration officer and as operator for the Italian population census. From 1997 onwards, he started to work in the field of electoral support at international level and in the period 1997-2004 he held a variety of posts in the field of electoral assistance and observation with the EU, the UN and the OSCE. He operated for long term assignments in countries such as Central African Republic, Zimbabwe, West Bank and Gaza, Zambia, Kenya, Nigeria, Haiti, Tanzania, Democratic Republic of Congo Suriname and Indonesia, where among the different senior positions he hold he worked as Senior Election Operations Expert, Training/Reporting Advisor and Coordinator of EU Election Observers. Fabio also developed a deep knowledge in project cycle management, particularly in the Democratic Governance field as explicitly shown by his experience working for the European Commission at the level of the Delegation of the EU in Maputo (Mozambique) from 2001 to 2003 and at the EU Headquarters (in EuropeAid) in Brussels between 2004 and 2006. From January 2007 to December 2010, Fabio served as Coordinator of the "Joint EC UNDP Task Force On Electoral Assistance" (JTF) and Senior Electoral Assistance Advisor at the UN/UNDP Brussels Office. During this period, he contributed to the establishment of the same Joint Task Force and oversaw its activities for the identification, formulation and support for the implementation of all the EC-UNDP electoral assistance projects. From October 2004 to December 2006, he worked as Election Specialist at the Directorate for Operations Quality Support of the EuropeAid and he was the coordinator and main author of the "EU Methodological Guide on Electoral Assistance". Bargiacchi was, thus, involved in more than 70 UNDP projects amounting up to a sum of more than 600 million EURO from October 2004 till December 2010. Bargiacchi was also at the forefront of the conception and delivery of all the Joint EC UNDP IDEA effective electoral assistance, face-to-face and distance e-learning training from September 2005 till February 2011. From January 2011 to February 2012, he worked as Chief Technical Advisor for the EU funded "Project in Support of the Electoral cycles for the six Portuguese Speaking Countries in Africa (Angola, Cabo Verde, Guinea Bissau, Mozambique, Sao Tome and Principe) and Timor Leste", implemented by UNDP (www.propalop-tl.org). This was the first ever trans-national electoral assistance project that focused exclusively on capacity development. Considering the experiences with OSCE, UN/UNDP, EU and ECES, Fabio has dealt with electoral and democratisation processes in over 50 different countries and worked on the identification, formulation, implementation or evaluation of more than 100 electoral assistance projects since 1997. Languages: Italian, French, English, Portuguese.